Hearing aids make life with hearing loss much healthier, safer and more enjoyable, so it’s a big deal when something goes wrong with them. 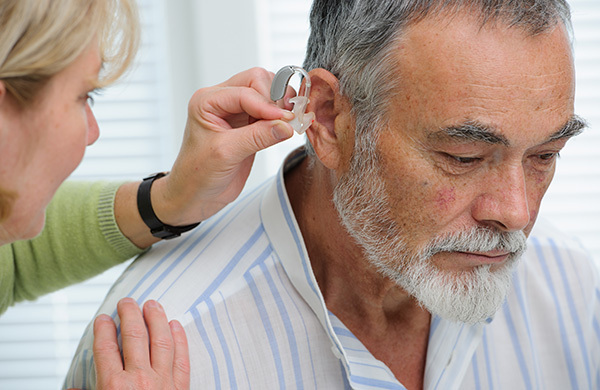 Veteran hearing aid wearers have a good combination of experience and intuition for recognizing and troubleshooting their hearing aid’s problems, but everyone has to start somewhere. If you’re still learning your hearing aid’s ins and outs, start by looking for these six signs your hearing aid might need to be repaired. Anytime your hearing aid delivers inconsistent or altered sound, it’s a sign that something is wrong. Have you experienced any of the following? Sometimes these sound problems originate from simple issues you can troubleshoot yourself, such as a loose wire or connection, a piece of earwax clogging the tube or microphone, or a poor fit. Tightening, cleaning, or adjusting should do the trick. If you still have sound problems after trying these things, the electronic parts of your hearing aid may need to be repaired or replaced: it’s time to visit your hearing instrument specialist. Insignificant cracks or worn tubing could lead to even more costly repairs if they’re not fixed right away. Some people request spare tubing and learn how to replace it, but many of these small pieces can be easily repaired right in your hearing care provider’s office. So what happens when you take your hearing aid in for a repair? If your hearing professional cannot repair or replace the necessary parts on-site, they will need to send it out to the manufacturer, and it will be returned within a few weeks. The sooner you can recognize and react to these six signs your hearing aid needs a repair, the less you’ll miss out on all the benefits it provides. If you’re concerned your hearing aid may need repairs, don’t hesitate to contact a hearing professional in your area. Not only can a hearing specialist help you find the right hearing aid for your hearing loss, they can also provide helpful advice on maintenance and troubleshooting your device!